VKF believes that the aggregation, organization, and dissemination of knowledge and information should serve our common good. The failed and destructive notion that facts can be separated from values greatly harms our world today. Knowledge, information, and media always carry values, and influences consumers. VKF holds that these should be transparent, plain, and known to the consumer. VKF supports efforts by people to improve and realize themselves through more complete and useful knowledge, to build harmonious and prosperous communities and societies, and to live in a healthy relationship with the natural environment. The Values in Knowledge Foundation is a tax-exempt, not-for-profit 501 (c) (3) organization incorporated in the State of New York, supported by the New York State Board of Education. Dr. Frank Kaufmann earned his doctorate in religious history and New Testament from Vanderbilt University’s Graduate Department of Religion. Frank Kaufmann is founder and president of Filial Projects, director of the Inter-Religious Federation for World Peace (IRFWP), and editor-in-chief of The New World Encyclopedia. He has worked in more than 65 countries, including in conflict-ridden and violent environments, and engaged 500 international scholars for New World Encyclopedia. Frank was nominated for the Guru Nanak Interfaith Award, along with other nominees including the Dalai Lama and Desmond Tutu. Presently Frank Kaufmann serves on the boards of several international, peace and reconciliation foundations. 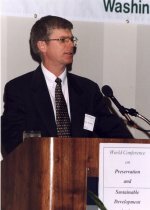 Gordon L. Anderson is President of Paragon House Publishers, Secretary General of Professors World Peace Academy, Editor in Chief of International Journal on World Peace. He earned an M.Div. in Christian Ethics at Union Theological Seminary in New York City and his Ph.D. in Philosophy of Religion at the Claremont Graduate University. He has taught at the Unification Theological Seminary, the California Institute of Integral Studies, and lectured in over 40 countries around the world. 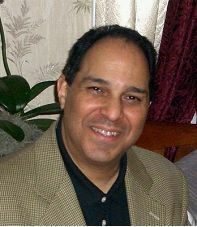 He is a member of the Board of Trustees of the University of Bridgeport in Connecticut. He has published widely on religion and society, including editing The World Wide State of the Family, co-editing Morality and Religion in Liberal Democratic Societies, and authoring Philosophy of the United States: Life, Liberty, and the Pursuit of Happiness, and Life, Liberty, and the Pursuit of Happiness, Version 4.0. He is a Director and Treasurer of the Values in Knowledge Foundation. Dr. Swarts is a Phi Beta Kappa graduate of Bucknell University, with a B.S. in Biology, and a graduate degree in Zoology from Pennsylvania State University, specializing in aquatic ecology. His research endeavors include an extensive field study of brook trout in streams affected by acid-mine drainage in Pennsylvania and study of an exceptional tolerance of some tropical blackwater fish to low pH. He completed his doctoral studies at Columbia University Teacher’s College and the Graduate School of the Union Institute, graduating with a Ph.D. in Biology and Education from the latter institution. 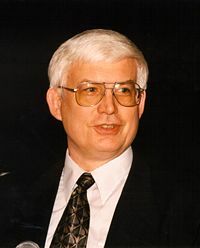 His dissertation research dealt with the presentation of evolution in secondary school textbooks of the United States, China, and the U.S.S.R. His interdisciplinary doctoral committee consisted of professors from Columbia University, Pennsylvania State University, Union Institute, and the University of North Carolina at Asheville. Dr. Swarts is the editor of The Pantanal: Understanding and Preserving the World’s Largest Wetland] (Paragon House Publishers 2000), the most comprehensive, English-language text on the Pantanal region. He is also author of The Spiritual Code: The 12 Invisible Laws That Govern Our Universe (Hudson MacArthur Publishers 2000), and co-editor of Culture of Responsibility and the Role of NGOs (Paragon House Publishers 2003). He has published scholarly articles in the fields of aquatic ecology, environment, evolution, and education, including Ecology, Journal of Research in Science Teaching, and Transactions of the American Fisheries Society. Jennifer Tanabe is New World Encyclopedia’s Social sciences editor. Dr. Tanabe obtained both her Bachelors (1974) and Doctoral (1978) degrees from the University of Edinburgh in Scotland. Her doctoral work was in Developmental Psychology. She was a postdoctoral fellow at the University of Minnesota’s Institute of Child Development in 1978-1979. She has taught graduate level courses in Cognitive, Moral, Religious and Social Development, Unification Philosophy, and in Television Ministry. Dr. Tanabe currently works as a freelance editor and writer. 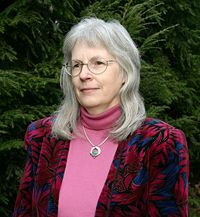 Her recent work includes serving as book review editor for the Interreligious and International Federation for World Peace’s Dialogue & Alliance; serving the International Educational Foundation as a researcher, writer, and editor; and as an educational consultant. 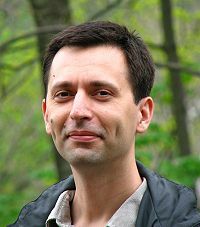 Svemir Brkic is the Information Technology Director for New World Encyclopedia. He has a computer software programming degree from Strayer University, and more than ten years of professional experience in web development and system administration. Mr. Brkic is involved with and contributes to several open-source software projects, and acts as technical adviser for several non-profit organizations. Gordon Anderson on Analysis: Beyond debt woes, a wider crisis of globalization?